Dr Charles Grey (Bill Wallis) is working in his lab when a man wearing grey makeup and white rubber boots (Michael Latimer) enters, crackling like a side of pork. 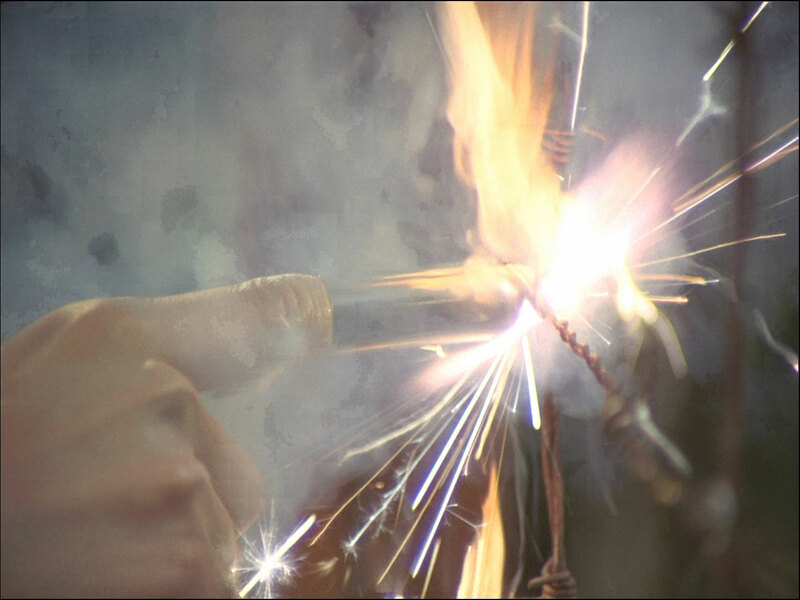 He pulls out a metal-tipped finger and sends the short-sighted scientist across the room in a blaze of electricity, embedding him in the wall. Steed and Emma investigate and are perplexed by the hole in the wall - in normal conditions Grey would have to have weighed 10 tons or been travelling at 100 mph to create the impact he did. Cynthia Wentworth-Howe, top hush secretary to the minister (Caroline Blakiston) enters and tells them Grey was working on top secret electrical development - a fan, quips Emma, who's scanned the blueprints. Steed asks to see inside Grey's safe and she gives him form in triplicate. While he's filling them in, Emma notices Cynthia removing the safe key from her stocking top and nudges Steed. The safe is opened and Cynthia is shocked to discover the contents burnt to cinders. "Now that's a neat trick", Emma comments. Cynthia reveals Grey had worked on Project 90, about which she knows nothing except they exceeded budget and were closed down. The project was based at Risley Dale and she shows them a staff photograph - Dr Grey, Dr Cresswell, Mr Mankin, M. Jubert and 'poor Mr Bryant', who recently fell from a top floor window. Steed sends Emma to see Jubert, saying "Your French is impeccable" and she cheekily tells him not to forget to return the key. A blue van pulls up outside Wavel Electronics Ltd, buzzing with power and the boots step out, while inside Maurice Jubert (Sandor Elès) is so intent on his work that he waves off Miss Clark (Joanne Dainton), who is begging him to stop work for just a moment to have something to eat. The electricity suddenly goes haywire and she goes to call the generator room, there's a rustling sound and she's knocked unconscious by the grey man who enters and kills Jubert. Mrs Peel arrives and rushes inside when she hears the strange sound, finding Miss Clark on the floor and Jubert embedded in a cupboard. The secretary stirs and Emma, hearing an engine start, spies the van leaving outside. Miss Clark tells Emma the sound was like rustling paper. 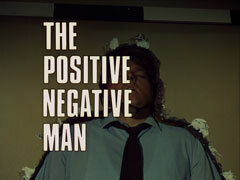 Meanwhile, Steed arrives at Risley Dale and investigates the abandoned laboratories. Stepping back outside, he hears an electrical hum and investigates the van he finds parked nearby. When he touches the door handle, he's electrocuted and collapses... the white boots appear and drive the van away. Mrs Peel arrives a bit later and finds a hazy Steed recovering from the shock and he describes the same sound as Miss Clark. She finds some greasy makeup on a nearby door handle then moments later they hear someone approach - it's Dr Cresswell(Ray McAnally), whom Emma attacks when she sees he's bearing a shotgun. Steed stops her and tells Cresswell that Project 90 still has a lot of friends at the ministry, leading him away to Cresswell's house nearby to give Emma free reign to investigate. Over a drink, Cresswell tells Steed the project was going great work with ultra high frequency electricity when the team 'went dotty' over broadcast power despite his opposition. He blames Mankin for derailing the project, then suddenly his desk lamp explodes. Cresswell dismisses it as a freak natural occurrence, making Steed suspicious. Outside in the woods, Mrs Peel hears the crackling sound and finds a grey, greasy hand print on a tree. Steed visits Cynthia Wentworth-Howe, who's fly-fishing on her day off, suggesting she use a 'flaming kestrel'. She sternly tells him she prefers a 'red coachman' but laughs when he tells a joke about catching a fish in Bond Street. He asks to see the ministerial files on Project 90 but she refuses, saying it's red card holder access only, so he doffs his bowler and shows her the red card inside it. At the ministry, they discover those files have also been incinerated and Cynthia is appalled at the paperwork it's going to take to explain what's happened. She tells him only Mankin can help him now and Steed heads off to see him. James Mankin's secretary (Ann Hamilton) ushers him in and Mankin (Peter Blythe) appears, dressed in grey and wearing white boots... but he's not the killer. Mankin has sour grapes about Project 90 being stopped and his getting the sack, then patronisingly demonstrates broadcast power. He refuses to believe the deaths can be over broadcast power, as he can't see a motive. 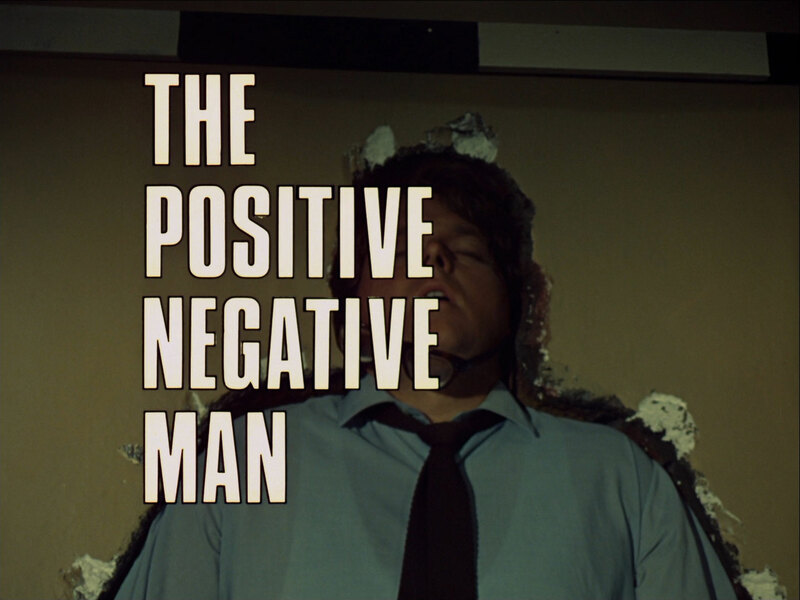 He shows Steed a device and Steed breaks his icy demeanour by recognising it as a development of a Wind-Hurst machine, and it powers a small fan. Steed says Grey was working on such a fan and Mankin says it's hardly the ultimate weapon, but concedes that range and power may be unlimited. 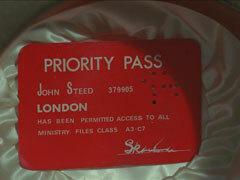 He admits that while his work is now with stereophonic sound and radar, he returns to his pet project whenever he can; Steed warns him to be careful as someone else may have found a different use for it. Steed drives off, tailed by the van, and the driver trains a small transmitter dish on his car and the Bentley's electrics are shorted, leaving Steed stranded in a pond with the dashboard smoking. He finally reaches Emma's place and laments the damage - "even the altimeter!". Mankin meanwhile goes to Risley Dale and finds the van. Realising what's going on, he calls Steed and Emma drives there to meet him. The grey man turns the van on and hunts Mankin down, electrifying railway tracks and fences in his pursuit. Mankin is killed when he's caught trying to scale a wire fence and some of the wire melts from the heat of the discharge. Emma arrives a moment later and finds Mankin on the melted wire. Going back to her car, she spots the van and is shocked unconscious when she tries to open the door; the van drives slowly away. Steed revisits Cresswell, who is startled to see him and obviously waiting for someone. Steed pours himself a sherry and mentions that Mankin accused Cresswell of sabotaging Project 90 but before he can reply the grey man enters and Cresswell is forced to introduce him as Peter Hayworth, who occassionally assists him in his experiments. Emma drives up and toots her horn. Steed goes to greet her while Cresswell angrily says to Hayworth, "I thought I told you to kill her". "I thought I had", replies Hayworth and they go outside where Emma 'reminds' Steed they have a dinner engagement with Mankin - kicking his shin when he doesn't cotton on fast enough - and purposefully slips on the gravel so she fall against Hayworth, saying "I don't usually fall for strangers", puzzling Steed. With the villains back in the house, Emma says her little charade was to collect a sample of the makeup on Hayworth's collar and she reveals that Mankin is dead and she would be too if she hadn't worn rubber soled shoes. Inside, Cresswell is elated to learn all the scientists are dead; only Steed and Emma remain as a threat and they don't know how it's done. "I think it's about time we showed them", he menaces grimly. In her flat, Emma is testing the compound and rings Steed to tell him it contains aluminium particles and a non-conducting oil. "Just as an ordinary makeup insulates a girl against all sorts of things &emdash; no, not those sorts of things, so why not a makeup that insulates against high voltage". Hayworth approaches outside, affecting the lights, and bursts through the door in a blaze of electricity then shocks her senseless with his metal finger. She wakes up strapped to a table in Risley Dale where Cresswell and Hayworth are preparing her for a macabre experiment, covered in foil and wired to the generator. Cresswell tricks her into saying where she is and saying Steed's name, then splices a tape together so he can lure Steed down - she will kill him when he rescues her. Cresswell explains their process but Emma buts in, finishing his explanation and flippantly says it's an educated guess when Cresswell looks incredulous. Hayworth menaces Emma with talk of omnipotence, 25,000 volts coursing through him, but she dismisses him with a caustic comment about his pectorals. Cresswell enters and says they will soon have an army of 100 Hayworths and will take over the country. 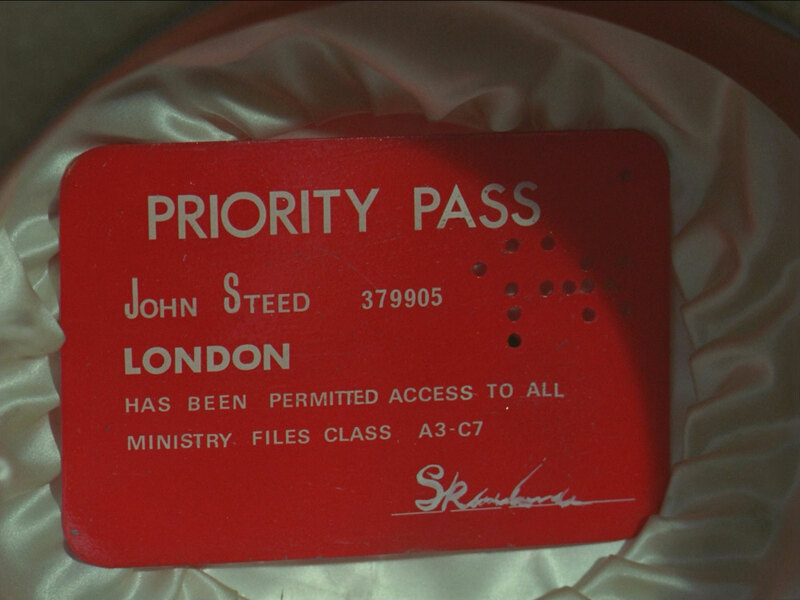 Steed arrives and is lured into the lab. Cresswell and Hayworth escape out the back as he enters. 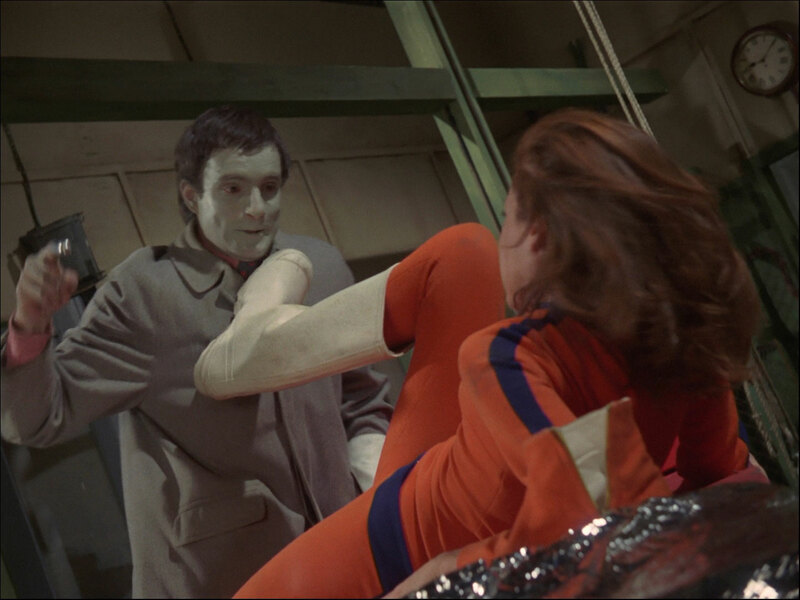 He sees Mrs Peel encased in the shining metal and flippantly says he'd recognise those eyes anywhere. "I knew you had sterling qualities, but bright silver?! Where are your hallmarks?" He removes the foil without effect as he's wearing rubber galoshes - "the country gentleman's friend!" - and gives Emma a pair. Cresswell and Hayworth, watching the generator, are concerned the voltage hasn't dipped and enter the lab where Steed is putting Emma's boots on. Hayworth swings at Steed but misses, hitting a metal cabinet which sparks and sizzles, he attacks Mrs Peel and they wrestle on the table while Steed dispatches Cresswell out a window. Steed comes to Emma's rescue, pulling off one of Hayworth boots so that he's earthed and the blast sends him through the roof. Outside a while later, Emma finds Steed magnetised and stuck to the side of his Bentley. She laughs and tries to separate him from the car, but instead becomes stuck herself. Steed smiles and insinuates, "Don't fight it, Mrs Peel; we're inseparable."